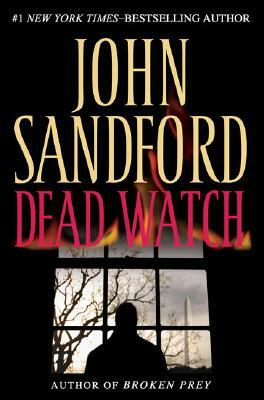 Through twenty-one novels featuring Lucas Davenport, Kidd, or the razor-edge world of the Night Crew, John Sandford has been writing brilliantly suspenseful, consistently surprising thrillers filled with rich characters and exceptional drama. But Dead Watch sets a whole new level. Hours later in Washington, D.C., a cell phone rings. The White House chief of staff needs Jacob Winter now. His chief investigator and an Army Intelligence veteran, Winter knows how to move quickly and decisively, but he's never faced a problem like this. The disappearances are bad, but when the blackened body shows up barbed-wired to a tree, Winter knows there is much worse to come. And soon enough, there is. Large forces are at work, determined to do whatever it takes to achieve their ends. Winter will have to use all his resources not only to prevail but also to survive. And so will the nation. . . .